YouTube has catapulted it’s way into search engine excellence! Since it’s introduction to the world in 2005, YouTube is now the second largest search engine, falling short to no other than their owner, Google. Not to mention, it’s bigger than Bing, Yahoo!, Ask and AOL combined! Impressive right? But, why does YouTube deserve it’s spot at the top and why should be a major part of your digital marketing efforts? Is it because it’s filled with racks on racks of organic content – created by consumers for consumers? Or, maybe because it’s so easy that even a cave man can do it? Yes! No…not sure, well it’s fine. Sit tight, as I pinpoint 3 reasons why YouTube is a top resource for consumers and why you should tap into it. YouTube offers a unique quality to businesses. It allows companies to effectively humanize their brands. YouTube videos allow consumers to begin putting faces with the brand and it also offers a much more casual platform in which consumers can engage with visual content. A way in which a company can begin doing this is by recruiting a few YouTubers who embody every element of their brand and who also possess a large YouTube following filled with their target audience, to serve as brand ambassadors. Additionally, companies could also start posting their own videos. Videos featuring employees and industry professionals speaking genuinely about their products and services. So now you are probably wondering why this can’t be done in digital marketing solely through Facebook, Twitter, or whichever other social media networks you can think of? Well, with different forms of emerging media being on the rise within digital marketing, some consumers have began preferring to be reached visually – as opposed to by text. Plus, YouTube videos are universal. Video content should be a pillar of your digital marketing strategy because it is only second to face-to-face interaction as a tool to humanize your brand. When people are searching YouTube, they are actively trying to learn more about products and services. It is extremely easy to share YouTube videos via social networks, or embed on websites or blogs. YouTube allows a brand to reach those consumers interested in their products on a platform that they enjoy using, which also allowing room for commentary and suggestions … i.e. the comment boxes. Before I may any major purchases (and by that I mean any purchases that can’t be classified as necessities to live), I always search for product reviews. While written reviews were once the norm, I have noticed that I, just like a lot of consumers, now prefer video. There’s just something about seeing someone else with the product that you are about to buy… actually having it and using it. Luckily, I am not the only one obsessed with utilizing YouTube for this reason. More than 25 percent of participants said they used online video to learn about products “a few times a week,” and more than 20 percent use it “a few times a month.” 47 percent said they would be more likely to investigate the product upon seeing it in a video. While some reported feeling neutral about products in videos, less than seven percent said they would prefer to see no products in the online videos they watched. The majority of survey respondents said they were more likely to buy a product they saw in a positive online review, and more than 42 percent believe YouTube to be the most trustworthy source of product reviews. So how does product reviews contribute to YouTube’s greatness. A lot of the content posted on YouTube is reviews and YouTube has became a trusted entity within consumer’s eyes when researching product reviews. Now, how can your company benefit from this? By monitoring what consumers are saying in their product reviews about your products and services. This will allow you to gain greater access into the minds of your consumers and will help with identifying any changes that need to be made to improve your product. Additionally, this is where your brand ambassadors could come in again. After offering them an opportunity to serve as a face for your company, you can begin endorsing their videos that showcase products that you sent them for review. I wanted it. I bought it. Now how do I use it? Along with product reviews, a lot of consumers jump right into searching for tutorials right after. The reviews are the persuading force that solidifies their want to purchase the product, and if the are mostly positive, the consumers usually move forward with buying the products. So after buying these products they have invested so much time researching, it usually urges consumers into wanting to fully understand how to get the most out of their purchases. This is where tutorials come in… to show them how to use nearly every feature or maximize their service. Once again, this is where those ambassadors can come into the picture and save your day. They can upload tutorial videos of them utilizing your products or services. Or, your actual company itself can upload a few different tutorial videos on their page for consumers interested in learning more about their products or services. Well that’s all folks! 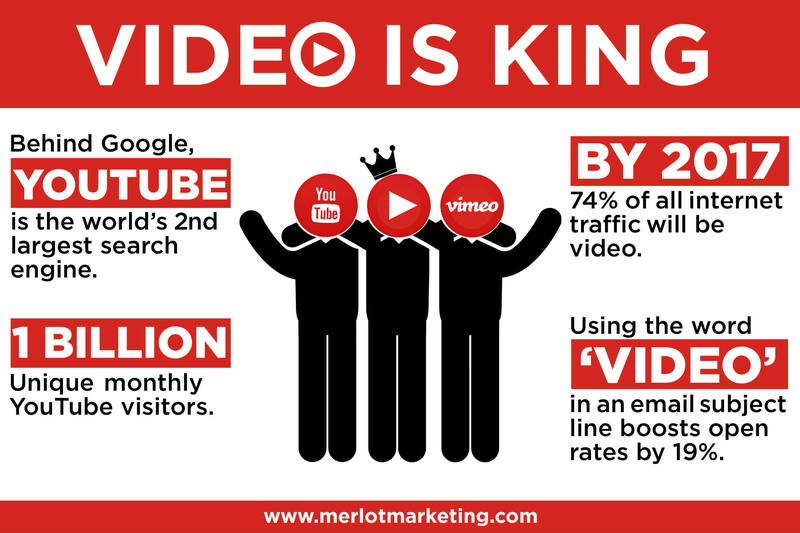 YouTube is definitely a resource that should be utilized by your digital marketing department. It could essentially help make or break your efforts in converting potential consumers into actual consumers. P.S., make sure to check out this amazing info-graphic from Mushroom Networks all about YouTube’s claim to fame as a top of the line search engine! Katra Cunningham is an IMC student currently in IMC 619 Emerging Media & the Market. This blog post originally appear on her blog: Emerging Media…as told by Katra. Check out her blog for more posts! I reached out to WVU IMC students and graduates for their best advice on how to succeed in the MarCom industry. Here is what they had to say! Writing is one of the many key factors to success in the marketing communications field. I would suggest that young professionals should always be honing their writing skills to become adept in their chosen industry. I would always recommend young professionals be willing to learn different areas of marketing communications. Flexibility will serve young professionals well in the long run for their careers. Finally, I would suggest young professionals learn how to design marketing and PR plans. A strategic mindset is crucial to success in any field, but especially marketing communications. Stay curious and passionate. This is an exciting field and things are always changing. You should focus on spotting trends, seeing the future and understanding behavior. Know what makes your audience tick. We live in an increasingly complex, multi-device, multi-channel world, and to be successful, you have to create a seamless and integrated experience across all channels. Each channel has its own nuance. Learn as much as you can about big data and predictive analytics. Understand how to use them to achieve measurable results. But don’t focus so much on data that you lose sight of the human factor. To sell your idea, you have to appeal to both the emotional and rational elements. To succeed as a professional in any industry I recommend finding ways to get outside of yourself as much as possible so you can better understand the motivations and triggers of others. Interactions observed as well as experienced afford us priceless information in how to improve our strategy, technique, and subtle nuance in order to accomplish our objectives. My advice for those who may be new to marketing communications is to realize the value of business acumen. Specifically for creative staff, it is important to realize how your creative decisions affect larger business decisions. You are always working for a client whether your client is internal in a corporate setting, or external in an agency situation. It is critical to remember that you are not creating marketing communications for yourself, but for your client’s audience. Sometimes the most effective solution for the target audience is not going to be your personal preference. 1.Social media is present. – See things as they happen. Watch as conversations around your posts develop and mature over time. See what your consumers and clients are saying as they say it. 2.Social media is measurable. -You can track which messages are received the best by your followers. Data is present in almost every form of social media. Analyzing that data will give you actionable information to react to, whether that is discovering that sharing more photos will boost your click through rate or offering promotions as part of your posts will net your company more followers and likes. 3.Social media is fast. – Get your message out to your consumers faster without delays or airing schedules. Social media allows you to share things with clients and consumers faster than traditional media or news sources. If an event happens that paints your company in a bad light, you can use social media to respond and reassure your consumers all in one place hours before the evening news or newspaper. 4.Social media is able to put you where the customers are. – You can reach large amounts of people at the same time!. Social media gives you one more channel to allow consumers to discover your products or services without leaving the social media sites they already use. 5.Social media is global. – Anyone anywhere in the world can find you and follow you. Reach consumers in every country in the world through a social media site. 6.Social media is flexible. – There is a platform for everyone. Microblogging, blogging, pictures, videos – whatever the consumers would like to see, social media can do. The only limit is your imagination in how to use a particular platform to reach your consumers. 7.Social media is easy. – Almost everyone can use social media for their businesses. The platforms already exist, so no need to set up something special to try to reach consumers. No need for forums or listservs when your Twitter or Facebook account will serve the same purpose in getting out your message. 8.Social media is conversation. – Businesses can start a conversation with their followers and get in the minds of what they are really thinking. Hashtags and content tagging give consumers ways to find the content and allows you to link conversations as they happen. Follow the conversations through the content to find out what is really on your customers’ minds. 9.Social media is a way to see what your competitors are doing. – “Spying” is easy on social media. Discover what your business competitors are doing (or not doing) on social media and follow their trends and conversations to find out what is working and not working for them. Know why their customers love them and follow them. It may give you ideas about how to approach your own customers for the same products or services. 10.Social media is “digital word of mouth.” – Followers will share things with their own friends and families. This is probably the most powerful part of social media. Given the right motivation, enough people can share your message through “digital word of mouth” that no other advertising may be necessary. Find those passionate about your product or services and watch as they share that information with their own followers. Those followers may share that information, whose own followers may also share. What are your favorite reasons to use social media in marketing? Amber Hoffer is an IMC student currently in IMC 619: Emerging Media & the Market. This post originally appeared on her blog: The Bard’s Take on Emerging Media. Check out her blog for more of her posts! My name is Chris Fujimoto, and I’m currently enrolled in my second full semester in the IMC master’s program. My decision to attend West Virginia was an easy one to make. What I found to be difficult was planning when I would begin my journey at West Virginia. It was along that discovery process that I realized West Virginia’s IMC program was catering to my biggest need: flexibility. When I started researching graduate programs I was looking for a program that would provide me a solid marketing base, while expanding my knowledge in different marketing and communications strategies. I was also looking for a program that would fit into my professional schedule. Most importantly, I was looking for a program that would allow me to apply the lessons from the classroom to the workplace in impactful and creative ways. After reading into West Virginia’s master’s degree in IMC, I knew they checked off all of the boxes I mentioned, and I knew it was the right fit for me. There were, however, a few logistical problems that I needed to navigate. I knew that I wanted to take the GRE exams. West Virginia offers a GRE waiver (another point toward flexibility), but I wanted to keep options open and train my brain back into the academic mindset. Additionally, I hadn’t officially applied to the program at that point, and I felt a large sense of dread at the idea of managing both school and my professional workload. Maybe a graduate program wasn’t a realistic possibility for me at the moment? I was starting to doubt whether or not I would be making the right decision for my career by applying to the program. It was at that point I decided to do some proactive research and planning. What I found was that starting in January of 2016 would be an easier transition for me than the fall of 2015. My professional workload would be slowing down a bit, giving me the perfect amount of time to ease in to the grad school workload. Starting in the spring also meant that I could take more time to study for the GRE exams, which gave me some practice in balancing my academic and professional workloads. The coursework that the IMC program offers is mirrored in the fall and spring, so I didn’t feel like I was behind any of my peers. When I laid all of the components out on the table, I knew that starting in the spring was the right decision for me. The structure of the IMC program helped relieve any uncertainty that had built from my initial thoughts. For individuals who are considering the program I think the most important thing is to look at the IMC program and determine how it plays a part into your overall plan. The IMC program is built with flexibility to meet the needs of its students, and we are empowered on how we want to take advantage of what is being provided to us. Chris Fujimoto is currently an IMC student and the marketing web administrator at Vanguard Charitable in Philadelphia. According to D. Frank Smith, 5.8 million Americans are enrolled in an online course—that’s one in four students! For many, the thought of online classes is unnerving, yet virtual enrollment continues to grow. It can’t be that scary, right?—Right! Here are some tips we put together for succeeding in online classes. Keep a hard copy of any and all documents distributed by your professor, especially the syllabus. Printing these documents will help you to better understand and keep track of the course assignments, as well as remember your instructor’s expectations. Choose a space in which you feel you will be the most productive to complete your course work. Use this space only for class-related activities and, while you are there, turn off your cell phone to avoid all distractions. Keep a master schedule of when all of your assignments are due. To ensure you do not forget anything, write yourself daily to-do lists, complete with detailed instructions for each project. Communication is key! Whether it is a problem with your server or a question about an assignment, communicate issues are their onset, as they will then be much easier to resolve. Work a little bit each day. Don’t procrastinate or try to complete all of your assignments in one sitting. This will do nothing but overwhelm you and put a damper on your creativity. Participate, participate, participate! Online classes allow you to learn as much from your classmates as you do from your instructor; however, the responsibility is yours. The amount of effort you put into a virtual course will reflect the amount of knowledge you gain. Incentivize yourself with periodic rewards. After completing a large project or a difficult paper, treat yourself! You deserve it! Online courses can take time to get used to; however, their benefits are undeniable. Online learning provides students with flexibility, lower costs and greater technological knowledge. So…don’t be nervous about online courses. If you keep in mind these seven tips, you are sure to succeed in any online learning environment. I asked IMC faculty what resources they recommend to IMC students, and this is what they had to say! I hope this list is useful to you. And, if you have any resources you’d like to add, let me know in the comments :). Ally Kennedy is the communications manager for WVU Reed College of Media’s Online Programs. She earned her master’s degree in communication from Duquesne University and her bachelor’s degree in English from Washington & Jefferson College. The past two earned media assignments I led for clients were enhanced significantly by the use of Twitter hashtags. As part of the media outreach strategy, Asher Agency recommended using a Twitter hashtag (one was in place and the other we created) to give all stakeholders and our agency’s staff a rallying cry to tweet, retweet, like and reply to others about the key messages and calls to action. We started promoting the use of the hashtags early in the planning process, reminded allies throughout the media pitching phase and used it often in thanking reporters and publications/networks that ran our stories. The hashtags also helped easily track media coverage and created a healthy dialogue that continued well after the issuance of the news releases. My Asher colleague in both projects, Faith Van Gilder in our Fort Wayne, IN, office, tweeted photos and messages both during the media conferences and throughout the day. She also forwarded photos with suggested tweets to client stakeholders during the day for them to post on social media. Asher’s experienced digital team tracked the results online and supplied the analytics below as part of the project summary. At 12:01 a.m. May 18 the ninth annual American Fitness Index (AFI) was released by the American College of Sports Medicine (ACSM) and the Anthem Foundation, the philanthropic arm of Anthem, Inc. Washington, D.C., closely followed by Minneapolis-St. Paul and Denver, were the three fittest of the 50 largest metropolitan areas in the U.S. The annual AFI data report — http://americanfitnessindex.org/report/– has proven to be a valuable assessment and evaluation tool to educate community leaders on the importance of key indicators of physical activity. Leaders can then focus on policy, systems and environmental change strategies that are evidence-based and create sustainability for the community. Therefore, media coverage and community engagement using the annual AFI results has grown each year. USA Today, The Washington Post, the Today Show, all television networks, the Weather Channel, local newspapers and websites, broadcast networks, IHeart Radio, and dozens of health/fitness and business websites, academic institutions and others digest the AFI and report its diverse conclusions and recommendations. The new U.S. National Physical Activity Plan (NPAP) was unveiled April 20 at the National Press Club, building upon the initial plan that the NPAP Alliance released in 2010 as a roadmap for actions supporting and encouraging physical activity among all Americans. Russell Pate, Ph.D., chairman of the nonprofit NPAP Alliance, presented the plan, which was validated by speakers from the American College of Sports Medicine; American Heart Association; Tennessee Department of Health; President’s Council on Fitness, Sports and Nutrition; Johnson & Johnson Human Performance Institute; and Joan Benoit Samuelson, Olympic gold medalist. All of these people and organizations enjoy a huge social media presence and followers. The website offering the full 2016 National Physical Activity Plan — http://www.physicalactivityplan.org/index.html — lists the #ActivityPlan2016 hashtag that continues to be utilized in discussions about the plan, its elements and utilization. We webcast the Press Club release event, so that triggered questions from the media and general public using our hashtag. It greatly enhanced our media coverage from the new release and our pitching the story. Our partnering organizational partners and representatives from nine societal sectors – business and industry; community recreation, fitness and parks; education; faith-based settings; health care; mass media; public health; sport; and transportation, land use and community design — all leveraged the hashtag to share their participation in the new U.S. physical activity plan. The hashtag usage ramped up again as we organized a standing-room-only Congressional briefing to share the new U.S. plan and promote Members of Congress committing to employ physical activity policies on Capitol Hill. ————————————————————————–Mike Fulton directs the Washington, D.C. office of the Asher Agency (www.asheragency.com) and teaches a master’s level course in Public Affairs for West Virginia University’s Integrated Marketing Communications (IMC) program. Connect with Mike at mikef@asheragency.com,@hillrat1156 or on LinkedIn. In three words I can describe my Introduction to Integrated Marketing Communications (IMC 610) experience: unexpected, difficult and rewarding. I never imagined myself enrolled in an online graduate program. I am a personable and engaged student that loves face-to-face interaction with my professors and colleagues, and I did not think an online program could provide me with a satisfying experience. IMC 610 showed me that I was wrong. My IMC 610 class was extremely responsive; students created insightful posts, challenged their classmates with intriguing replies and provided diverse perspectives on questions posed. In an odd way, through my classmates’ posts, I got to know each of them on a deeper level by understanding their points of view, interests and prior experiences. Honestly, by the end of the course, it felt as though I got to know my classmates better than I would have in a traditional setting. In this class, I learned how to interpret materials, develop opinions on them and reinforce my opinions with supplementary materials, validating my arguments. This required a lot of introspective thought, something with which I was not extremely familiar. Although this was difficult at times, it helped me learn more about both integrated marketing communications and myself as a communicator. I have to say, the rewarding feeling that accompanied submitting my final project and completing IMC 610 was phenomenal, but this was not the only time during the term in which I felt fulfilled. After each assignment, my professor offered constructive criticism. It was really great to hear that I was understanding the week’s material and applying it in a productive way, but it was even better to hear her suggestions and apply them to better my campaign. By the end of the course, I had completed an entire integrated marketing plan; something I never thought I would be able to do, and something I never would have been able to do without the help of my instructor. Overall, my first graduate-level class was fulfilling, surprising and difficult to say the least. The quality of learning was insurmountable and the “classroom” interaction was superb. I can honestly say that I cannot wait to see what adventures future courses hold; keeping in mind that WVU’s IMC program is not for the faint of heart.